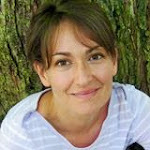 Bookshop Talk: INTERVIEW with Author JESSICA DAY GEORGE! 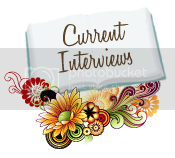 INTERVIEW with Author JESSICA DAY GEORGE! Fact #1: Jessica has great taste in books (I know this, because I like many of the same books she likes.). Fact #2: Jessica worked at a video store at one point in her past (Me too! Is this a prerequisite for becoming a great writer? I hope so...). Jessica Day George has lived in four states and traveled extensively in the US and Europe (there was also an ill-fated trip to Brazil which we will never speak of again). She has a degree in Comparative Literature and Scandinavian Studies, making her an ideal docent for rare collections of Icelandic manuscripts, but otherwise unemployable. In her free time she knits, plays viola and piano, reads, eats chocolate, and teaches old dogs new tricks. She is the mother of two children, and the author of seven books: Dragon Slippers, Dragon Flight, Dragon Spear, Sun and Moon, Ice and Snow, Princess of Glass, Princess of the Midnight Ball, and the upcoming Tuesdays at the Castle. 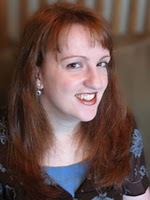 Jessica has won numerous awards and was on the American Library Association’s 100 Best Books for Young Adults lists in 2009 and 2010. Kim Thacker: Your website biography says that you “took eight years of German, four of Norwegian, and even studied Old Norse.” Can you tell us how your love of languages has influenced your writing? Jessica Day George: Well, I can totally pull out awesome names like Thorbjorn Thiflsen when I need to! Also, in the spirit of “write what you know” I tend to set my books in Nordic or Nordic-like countries. KT: What made you want to write fantasy and fairy tales above all other genres? Did you choose your favorite fairy tales to retell, or do you have other favorites? JDG: Everything I do generally turns into fantasy. I set out a couple of years ago to write a book about WWI, and it ended up having talking horses, so I figured that I’d better change the names of the countries before the WWI enthusiasts went after me . . . I guess it’s just the way my brain works! I really only set out to write one fairy tale retelling: East o’ the Sun, West o’ the Moon is my favorite fairy tale of all time. But after I got done writing Sun and Moon, Ice and Snow , I had been talking to someone who had retold her most hated fairy tale, in order to make it better. I started thinking about how confusing The Twelve Dancing Princesses is to me, there are dozens of variations, and some things just don’t make sense: “And they lived happily ever after, and they never danced again.” Hm, what? Didn’t they like the dancing? And after that one (Which became Princess of the Midnight Ball), I started thinking about other fairy tales it would be fun to put my princesses into, like Cinderella (if you never wanted to dance again, what if you had to dance in glass slippers?). 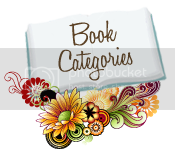 KT: Your novels feature wonderfully strong heroines who seem to discover or grow into their strengths by the books’ conclusions. Will you tell us more about your personal heroines or about your favorite heroines in novels you’ve read? JDG: I love heroines who are tough but don’t know it, if that makes sense. I dislike it when they actually go through the thought process of: But I’m just a girl, what can I do? . . . wait! I am strong! GRRRR! (Um, no. No one thinks that way.) I loved Aerin from Robin McKinley’s The Hero and the Crown, because she just never questions it: I have to do this, this is my duty, I got it done. Harry from The Blue Sword is much the same. She trying her best, she does what she can, other people take some of the responsibility. It makes it more real. You can’t think, I NEED STRONG FEMALES! MUST MAKE HER MORE MANLY! Also great is Alexia Tarabotti from Gail Carriger’s Parasol Protectorate series. It’s not stylish to carry a gun, so instead she’s got a weaponized parasol: feminine, yet effective! KT: PRINCESS OF THE MIDNIGHT BALL features the twelve dancing princesses, each of whom is named for a flower: Rose, Lily, Poppy, Jonquil, Petunia, Iris, Violet, Hyacinth, Lilac, Daisy, Orchid, and Pansy. I think of this book as Rose’s story, though all the sisters play an important role in the plot. Another of your novels, PRINCESS OF GLASS , features Poppy as a main character. Does this mean you’re going to write a novel for each of the twelve princesses? Pretty please? JDG: Nope. Sorry. Lily’s already married, so she’s off the market. You’ll notice that Rose is the oldest, Poppy was in the middle, so now I’m doing Petunia’s story to finish it off with the youngest! KT: I love Galen, the knitting soldier-hero in PRINCESS OF THE MIDNIGHT BALL, and if I were the slightest bit crafty, I would try my hand at making a scarf like the one he knits for Rose. You make picking up such a skill very tempting, since you’ve included a pattern for how to make a scarf like Rose’s in your book, along with another knitting pattern! In fact, both PRINCESS OF THE MIDNIGHT BALL and PRINCESS OF GLASS contain knitting patterns as extra goodies at the ends of the books. Has knitting always been a passion of yours? Why did you decide to make it a part of your books? JDG: I have been knitting since I was twelve years old, and it was my grandfather who taught me. I’ve made sweaters, blankets, hats, scarves, shawls, ponchos, hair ornaments, and even my own socks! I have a good friend, a guy, who knits and was truly hurt that I didn’t mention him in the note at the back of Midnight Ball (Sorry, Kyle!). Knitting is easy and fun and I firmly believe that everyone could (and probably should) learn how. I decided to make Galen a knitter in Midnight Ball because I wanted to use a felted wool chain as part of the magic, and I had just been reading an article about how soldiers were taught to knit their own socks and etc. because it was easier to send wool to the front lines in a war than socks and mittens in different sizes. KT: I never knew dragons collected anything but gold, fair damsels, and bloody knights’ armor until I read your novel, DRAGON SLIPPERS . One of the dragons in this book collects stained glass windows, another collects dogs (pets, not potential meals), and still another collects shoes. If you were a dragon like the ones you write about, what would you collect? 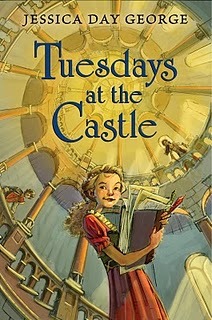 KT: Can you tell us about your newest book, TUESDAYS AT THE CASTLE ? JDG: Tuesdays at the Castle was a delight to write, and will hopefully be a delight to read! It’s a lot younger than my other books, about an 11 year old princess who lives in a castle that is basically alive. If it likes you, your room is extra nice. If it doesn’t like you, it might shoot you out a chimney. But nobody really knows how to get the castle to do what they want it to do, or what it’s going to do next. Celie, our young princess, needs help when her parents are in trouble, and so she tries to get the castle on her side . . . it’s a bit Home Alone (if the house were alive), and a bit Hogwarts’ Room of Requirement (if it were the entire castle). KT: What are your favorite books? Catch-22, Dune, I Capture the Castle, The Scarlet Pimpernel, Dogsbody, Howl’s Moving Castle, The Hero and the Crown, Beauty, The Blue Sword, Sailing to Sarantium, Lord of Emperors, The Woman in the Walls, Jane Eyre, The Hamish MacBeth Mysteries, War of the Flowers, The Memory, Sorrow, and Thorn Trilogy, The Westing Game, Skellig, Neverwhere, American Gods, Good Omens, The Harry Potter books, Mike Nelson’s Death Rat!, Little Women, A Christmas Carol, Possession: A Romance, The Blind Assassin, Jack the Bodiless. Thank you for visiting with us today, Jessica! That was such a fun interview! I loved learning more about this author -- thanks! Yay! I'm happy to hear she's doing another book in the Princess series. Do we get to know what Petunia's story will be called, or at least when to look for it on the shelf? My nine year old daughter and I are both huge fans and will look forward to reading it as well as Tuesdays at the Castle! Great interview. Tuesdays at the Castle sounds so much fun! Jessica is one of my all time favorite authors! Every single book she writes has been a 5 star for me! Dragon Slippers won me over on page one, and I have been a HUGE fan ever since! I want her to write twelve princess books. Sob. I wonder if Petunia's story will have something to do with fire, since it was mentioned in 'Princess of Glass' that she cut down bushes and hegdes and such to create fires. However, the only fairy tale I can think of that includes fire is 'The Little Match Girl', and A. Its set farther in the future than the princess books, and B. It ends tragically. Keep on writing, Jessica! Your awesome!!!!!! Wow, such a great interview! Jessica Day George is one of my personal favorite authors on this planet and I had the wonderful opportunity to actually email her personally. You are an exceptional writer and I look forward to reading more of your books!